ESA is developing the third generation of weather forecast satellites, Meteosat Third Generation (MTG). 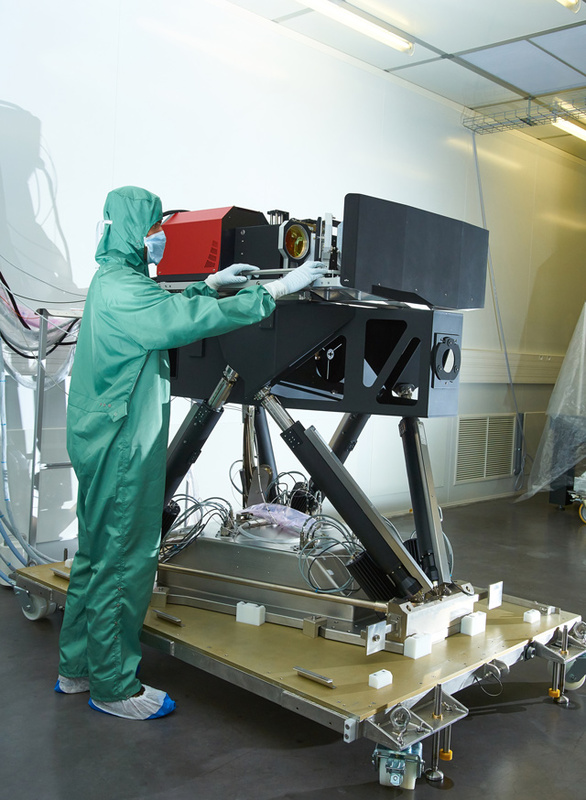 Thales Alenia Space (TAS) is in charge of the very high-resolution optical instrument of these satellites and has entrusted several sub-systems of this optical instrument to AMOS and Bertin Technologies. To verify the quality of the optical instrument and its subassemblies, TAS needs the best 6 Degrees Of Freedom motion platform to achieve very precise motions with high accuracy, stability and rigidity. 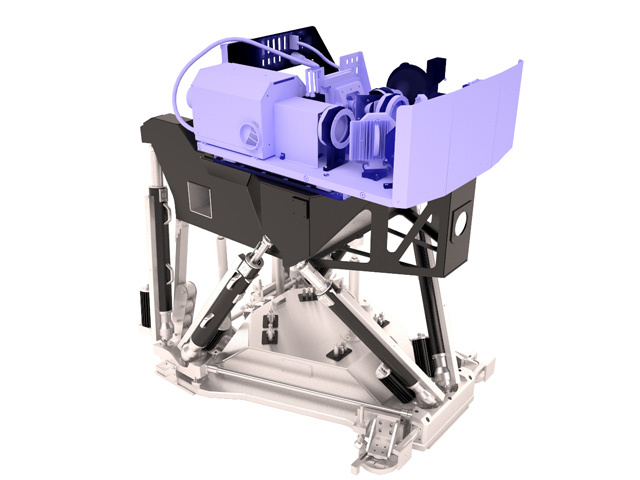 The required travel ranges are large (± 75 mm for translations and ± 4° for rotations) and the pivot point is 450 mm away from the side of the mobile platform but the hexapod should not be too tall for an easier access to the payload by the operator. 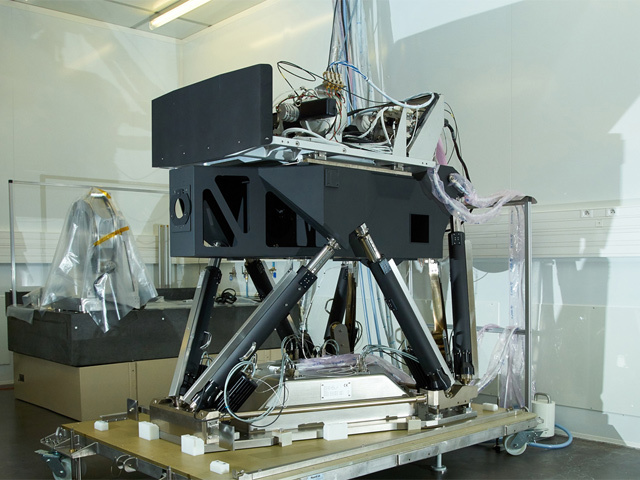 The hexapod has to be very accurate and thermally stable, which is difficult because of its tall size. The thermal expansion of the materials is bigger as the actuators are very long.